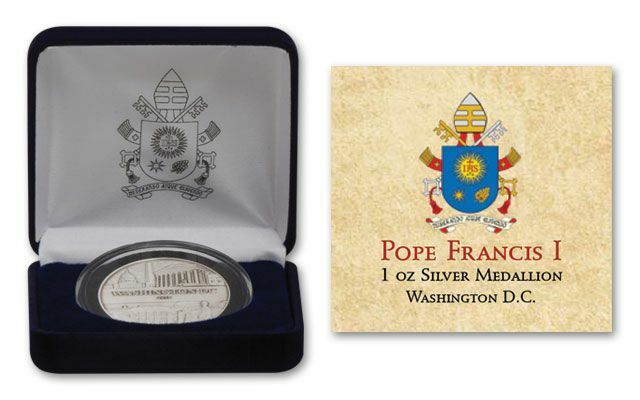 Limited edition pure silver commemorative honors the "Pope of the Americas" first U.S. visit! Pope Francis is truly a man of the people. The head of the Roman Catholic Church since 2013, his humble style and compassion for the poor has endeared him to millions around the world. 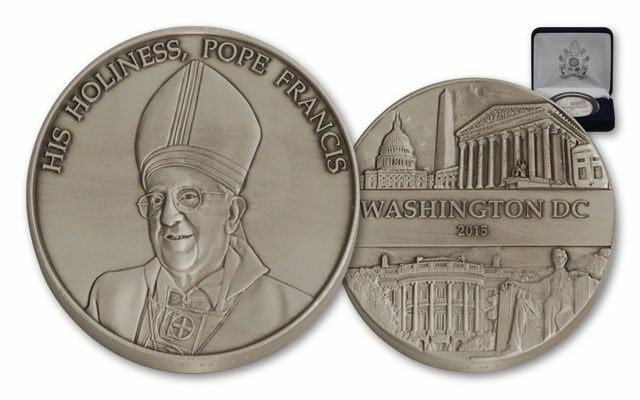 GovMint.com is proud to announce the first-ever release of this stunning commemorative celebrating Pope Francis' three-city 2015 American tour. It's the Pope's first time to the United States as Supreme Pontiff, and thousands are staking their claim on mementos of this historic visit-especially those containing precious metals. Struck in one Troy ounce of 99.9% pure silver. 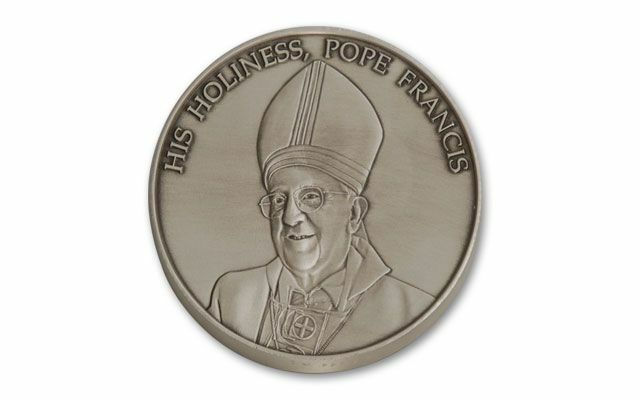 This sparkling keepsake comes in Brilliant Uncirculated (BU) condition and features a sculpted portrait of His Holiness. 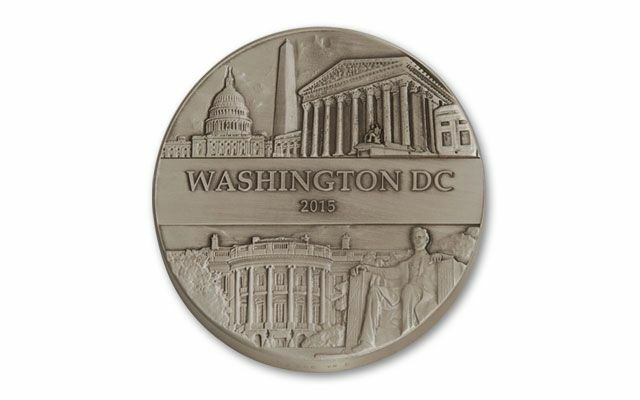 The reverse depicts the Pope's stop in Washington D.C. with well known landmarks, including: the White House, the United States Capitol, the Washington Monument, the Lincoln Memorial and the Supreme Court Building. A special antique finish enhances the detailed relief of the design. Each GovMint.com exclusive commemorative comes in its own deluxe presentation case with a detailed certificate of authenticity. The mintage is limited to only 10,000 each worldwide. Once the maximum striking limit has been reached, the dies will be destroyed and no more of these treasured commemoratives will be issued. Don't delay another moment-secure yours today!